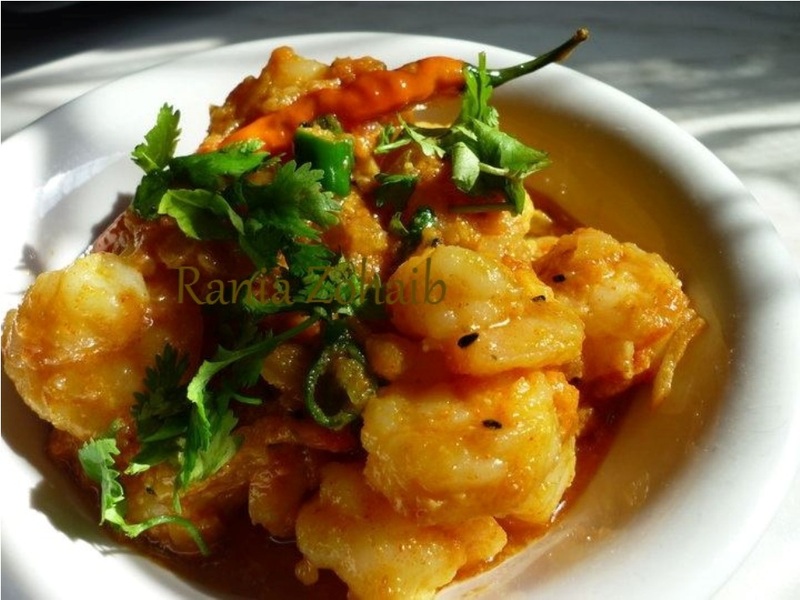 Prawns are such a delicate delight, I love them so dearly and would eat them every week, ahhh…. no every day: ) I remember how years back my Dad the best in this world, used to get them from the sea side stores early mornings where the fishers fetched them very fresh, and then we used to sit and watch how he cleaned them and then how Mom made this quick Karahi… It was the tastiest ever and I have never had THAT taste after that…. : ( Mom used to make the best Prawn Biryani too…. Those golden days…..
¾ tsp salt or to taste but better less!! !